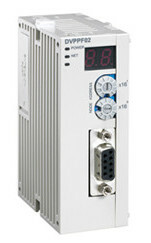 ‧A Left-side high-speed PROFIBUS DP slave module for DVP-S series PLC only. ‧Supports cyclic data transmission between master module. PURCHASE YOUR DELTA PROFIBUS COMMUNICATION DEVICES DVPPF02-SL TODAY!